Thredbo makes the perfect classroom for school children in summer and winter. 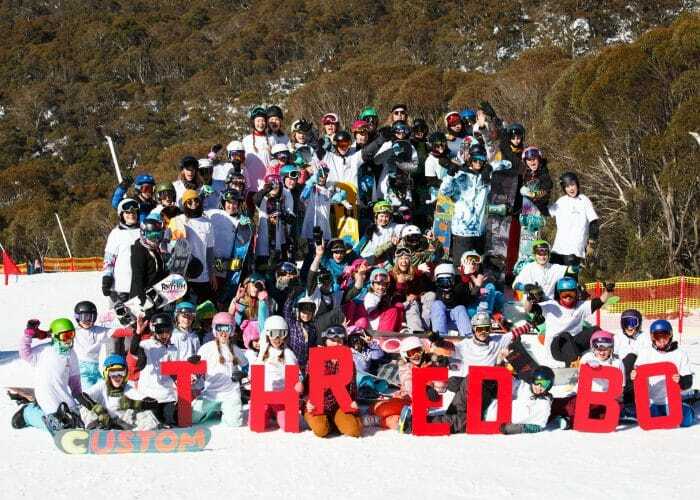 With the Thredbo Schools package, you can be part of the action. Email groups_thredbo@evt.com to organise your upcoming school adventure. With the Thredbo Schools package, you can be part of the action. 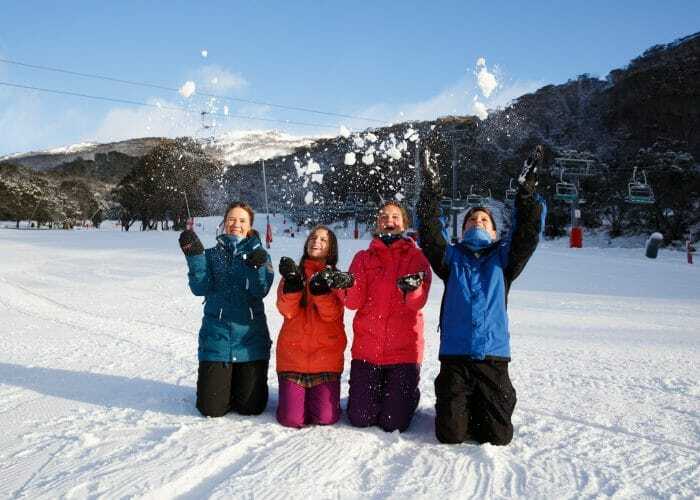 The fun and friendly gang from Thredbo Snow Sports School will have students and teachers learning, turning and having a ball on the snow. There is a variety of terrain to suit all levels. Beginners can take their first time slides down the gentle slope of Friday Flat, with Snow Runner conveyors to make the learning experience a breeze. Intermediate cruisers can turn it up at the Cruiser area with plenty of wide, tree-lined trails to explore, and the black diamond destroyers will be in heaven with wicked steeps and challenging off-piste terrain to carve into. 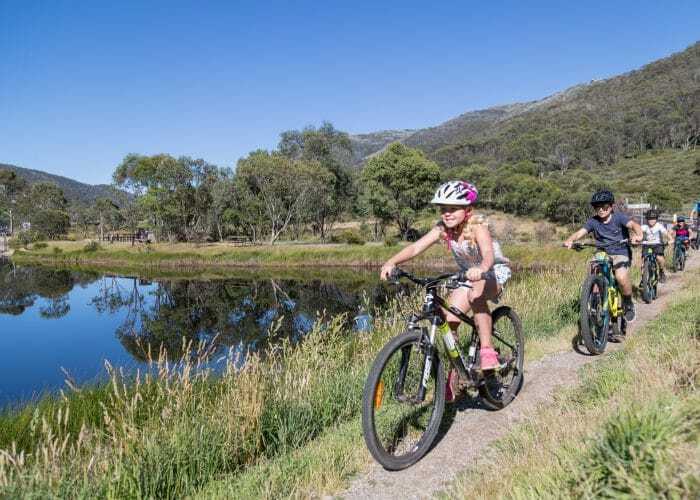 When the legs say “no more’ there’s the rest of Thredbo to explore, with plenty of shops, cafes and restaurants, plus the Thredbo Leisure Centre with a 50m indoor pool featuring ‘Mission Inflatable’, squash court, sports hall and waterslide. Daily access is included in the schools student snow special. Thredbo transforms into a whole new world during summer with endless adventures to share and mountains of discoveries to be made. School groups can take in the amazing alpine ecosystem on a trip to Australia’s highest peak, Mt Kosciuszko with stunning mountain views to reward your efforts. Students learn about the rare and endangered plant and animal species that inhabit the area whilst experiencing the environment in which they live. Summer school group packages can include, rides on the chairlift and bobsled, guided walks to Mt Kosciuszko and or use of the Thredbo Leisure Centre’s pool and waterslide. With increasing emphasis being placed on Risk Management, and with regard to recent guidelines that have been released by the Department of Education and Training (DET) in relation to school groups, Kosciuszko Thredbo Pty Ltd (KT) has developed this RAMS (Risk Analysis & Management System) Tool to assist schools in completing their own risk assessments. Multi day tickets crossing over season dates will be charged at the applicable rate as the first day of use. Includes Leisure Centre Pool/slide and Sports hall Access. Times must be booked for all Thredbo Leisure Centre bookings. Add Mission Inflatable for only $4.00 per person. All ski lift passes include a Thredbo lanyard. Merritts scenic chairlift pass excluded. Sport Rental Equipment includes: Sport Range ski’s, poles and boots or snowboard and boots. Helmet included with all group Sports Range rentals. Includes: 1 Day Thredbo Scenic Pass: Merritt’s Chairlift Only.